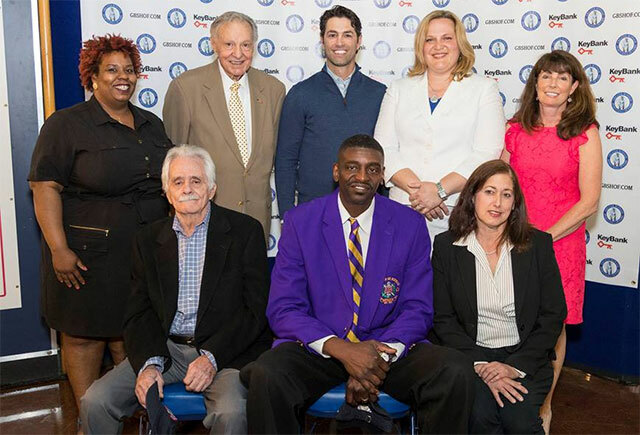 The Greater Buffalo Sports Hall of Fame introduced its 12-member class of 2017 on Thursday June 1. The event took place in Key Bank Center atrium where the Hall of Fame’s exhibit and trophy are on display. This event will mark the 27th class to be inducted into the Hall of Fame since its inception in 1991, bringing the total of inductees to 315. The class of 2017 will join a rich heritage of native Western New Yorkers and those who starred in and around the Buffalo Niagara region during their playing days, who are enshrined in the Greater Buffalo Sports Hall of Fame. In addition, the Greater Buffalo Sports Hall of Fame Board of Directors also announced its annual monetary awards from its Amateur Sports Development Fund (ASDF).